The Birds of Prey script is all set and complete as the official Warner Bros. Pictures Twitter account and Margot Robbie's Instagram posted a pic. "@MargotRobbie #BirdsofPrey (And The Fantabulous Emancipation of one Harley Quinn) hits theaters 2.7.20," the tweet states. 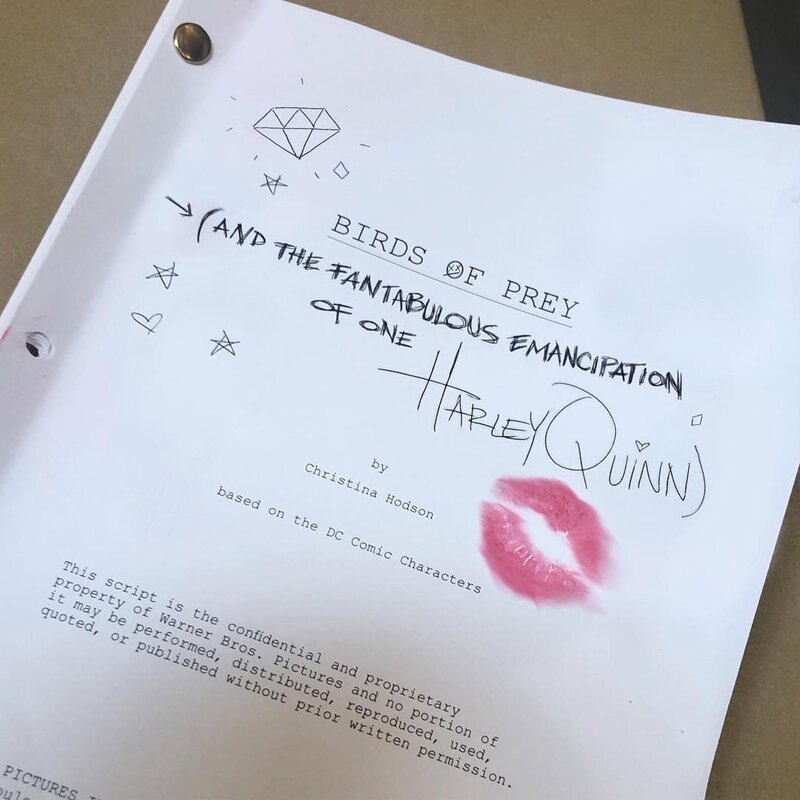 The image features the Birds of Prey script which was written by Christina Hodson with the official title confirmed to be: Birds of Prey (And The Fantabulous Emancipation of One Harley Quinn). In the comics, the emancipation of Harley Quinn ended her relationship with the Joker for good (obviously referencing Harley going out on her own in the movies away from the Jared Leto Joker).